Today, the big obstacle to a successful business transformation within a company is neither culture, nor bureaucracy, nor even the ever-changing technology landscape. It is the relationship between the business and its IT organization, an uneasy and less than effective alliance born of misunderstandings, a hazy sense of shared mission, and nerds versus suits stereotypes. 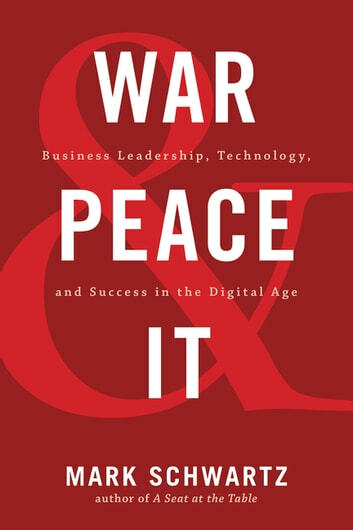 In War and Peace and IT: Business Leadership, Technology, and Success in the Digital Age, Mark Schwartz, author of A Seat at the Table: IT Leadership in the Age of Agility and The Art of Business Value, shows why and how executives and business leaders must create a shared strategy with their IT organizations to drive innovation, enhance their competitive positioning, increase revenue, and delight customers.